We will do our best to help you get from the Campground to your gate for the race. Information/Hospitality–volunteers available at the Raceway Ministry Texas Motor Speedway (RMTMS) ministry site in the Lone Star Campground to help those who need assistance in locating entry gates, showers, rest rooms, concession areas, Speedway World store, local gas stations, hardware & grocery stores, etc. Chaplains and pastors available for crisis intervention, domestic disturbance, depression, etc. Available to all fans through direct contact, through TMS Security; also available to TMS staff, employees, and event staff. Raceway Ministries Chaplains are stationed at the Outfield and Infield Care Centers during Scheduled hours. Transportation for Camping Fans with Special Needs–volunteers will patrol the campground on golf carts, assisting & providing information for fans, and providing rides for those with special needs, on a limited basis, by reservation. Camp ground fans can make ride reservations by calling 940.390.8248. Schedule subject to change. 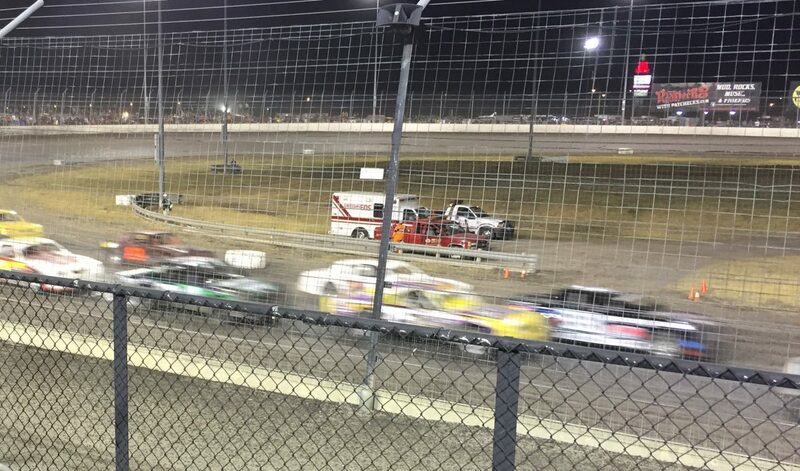 Texas Motor Speedway will have the ministry tent set up prior to race week. 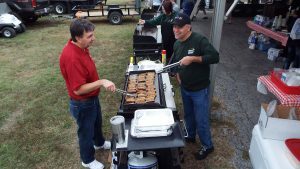 TxARM volunteers will need to be available around the tent during ministry hours, beginning Wednesday at 9:00 a.m. to assist in the set-up of tables, chairs, electrical cords, etc., as dictated by the schedule of activities. Prayer obviously is a key element with regard to the success of any ministry activity. Various times of prayer for Raceway Ministries volunteers, and anyone who wishes to join in, will take place, and prayer walking, which has become a very effective way for God’s people to lift up needs to the Lord “on the spot” may be scheduled. With all the walkways through the campground and across the speedway property, plenty of opportunity for prayer walking is available. Volunteers will arrange specific times, or set their own times for prayer or prayer walking through various areas of the property. A specialized area of TxARM activity involves doing chaplain work with the fans, TMS employees and EMS personnel. Understandably, this work requires some experience and special training. Let our leadership know if you would be interested in this type of outreach and service. We will in turn let you know about specialized training and requirements. We have discovered that many people “drift” into or by the Raceway Ministries tent during the night. 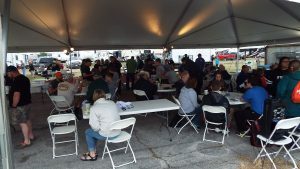 This “night shift” volunteer group (at least 2 people per 2-hour shift) will spend the night at the tent, sitting and talking, playing games, drinking coffee, or whatever–but primarily being there just being there for race fans, campers of raceway staff come by needing help, an ear or just a chance to visit. This is a great setting for some witnessing opportunities. 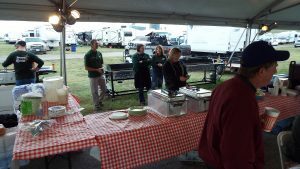 We will be serving breakfast to the fans and track workers some mornings during race weekend. Help will be needed cooking and serving pancakes, helping keep the eating area tidy and clean and visiting with those who come to the ministry site (Area 3) to enjoy the pancakes. This offers an excellent ministry opportunity as fans sit down to eat. Conversation can lead to ministry opportunities. 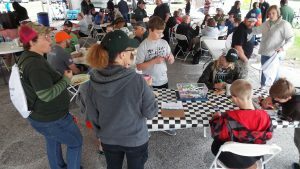 Information/Hospitality–volunteers available at the Raceway Ministry Texas Motor Speedway (RMTMS) ministry site in the Lone Star Campground to help those who need assistance in locating entry gates, showers, rest rooms, concession areas, local gas stations, hardware & grocery stores, etc. Chaplains and pastors available for crisis intervention, domestic disturbance, depression, etc. Available to all fans through direct contact, through TMS Security; also available to TMS staff, employees, and event staff. Raceway Ministries Chaplains are stationed at the Outfield and Infield Care Centers during OCC and ICC hours. Transportation for Camping Fans with Special Needs–volunteers will be in the campground on golf carts, assisting & providing information for fans, and providing rides for those with special needs, on a limited basis, by reservation. Camp ground fans can make ride reservations by calling 940.390.8248. Schedule subject to change.